The Law Library’s 10th Annual “Celebration of Books” event will take place on Tuesday, March 12 from 10:30 a.m. to noon, in the Law Library’s California Room. This is an informal, open-house event for faculty, students, and staff intended to highlight and acknowledge the books authored, co-authored, or edited by our full-time faculty from March 2018 through February 2019. 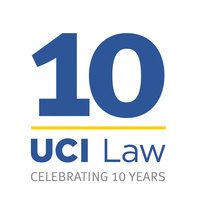 This year, the event also will acknowledge UCI Law's 10-year anniversary of the celebration. This event is for UCI Law faculty, staff and students. Please RSVP to Mari Kroll at mkroll@law.uci.edu.